The B-52's will return to the UK this summer as part of their European Farewell Tour. The band will call in Gateshead, Nottingham, Manchester, and London, where they'll play the Eventim Apollo on June 30. Tickets go on general sale at 9am on March 29. The shows mark the Grammy-nominated group's last performances in the UK and the end of over four decades of hits including Dance This Mess Around, Love Shack, and Rock Lobster, selling over 20 million albums worldwide. 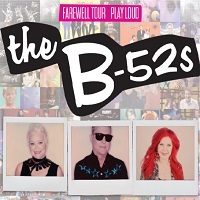 Click here to compare & buy The B52s Tickets at Stereoboard.com.